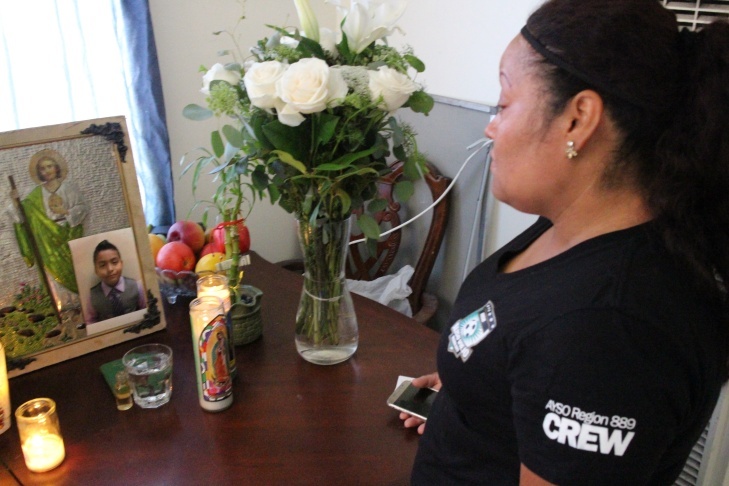 Candles and a picture of Jesse Romero, who was shot by police on Aug. 9. Jesse James Romero, who was shot and killed in an officer-involved shooting on Tuesday, Aug. 9, 2016 in Boyle Heights. 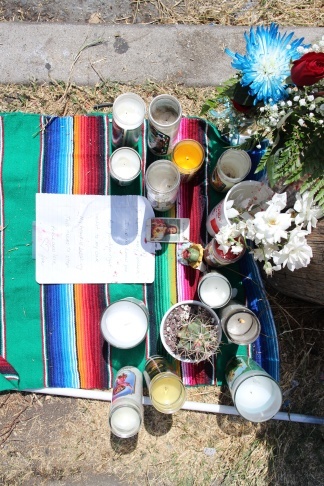 A memorial for 14-year-old Jesse Romero, who was shot and killed by police after a foot chase in Boyle Heights Tuesday. Teresa Dominguez, the mother of 14-year-old Jesse Romero, looks over a memorial for Romero, who was shot and killed by police in Boyle Heights on Tuesday. 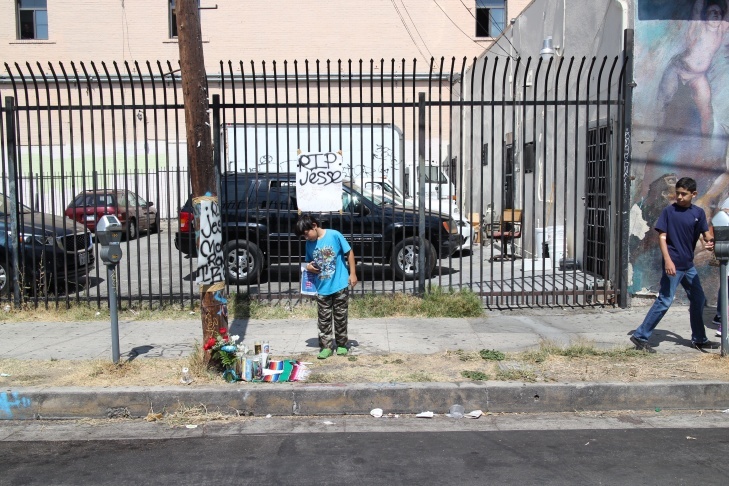 A boy stands over the memorial for 14-year-old Jesse Romero, who was shot and killed by police in Boyle Heights on Tuesday. Police shot and killed a 14 year-old on Tuesday, August 10, 2016. A foot pursuit between LAPD gang enforcement officers and a pair of alleged vandals in Boyle Heights on Tuesday evening ended with one of the officers shooting a teenage boy to death. 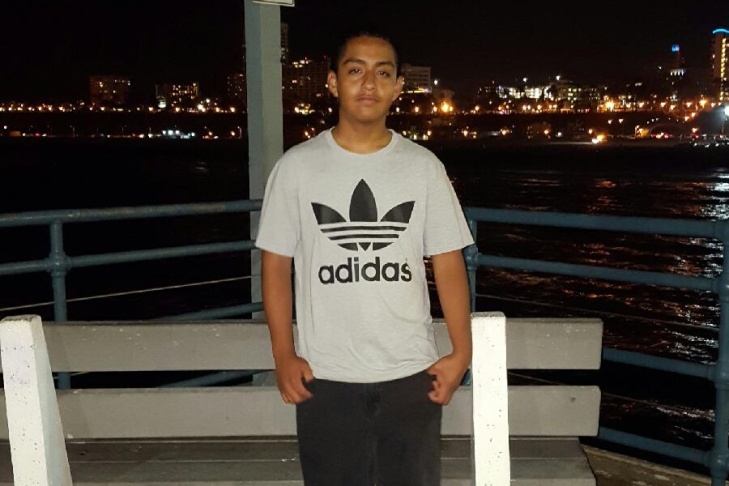 The boy was identified as 14-year-old Jesse James Romero by Los Angeles County Coroner's Office. 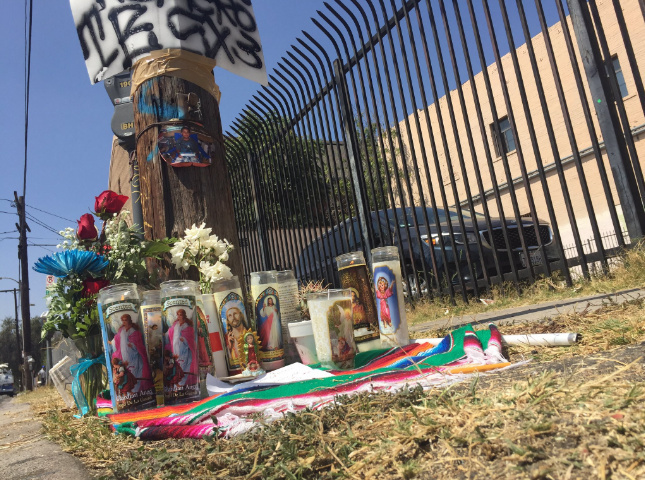 A memorial for 14-year-old Jesse Romero, who was shot and killed Tuesday evening by police in Boyle Heights following a foot chase. Gang enforcement officers got a call just after 5:30 p.m. Tuesday regarding possible gang-related vandalism in the area of Chicago Street and Cesar Chavez Avenue, LAPD Deputy Chief Robert Arcos said at a Wednesday morning press conference. When the officers arrived, they encountered two male suspects. One was detained at the location, but Romero ran east on Cesar Chavez Avenue before heading south on to Breed Street, Arcos said. A witness then saw Romero shoot at the officers with a handgun, according to Arcos. One of the officers returned fire, striking Romero, who was later pronounced dead at the scene. Teresa Dominguez identified herself as Romero’s mother. “He was a good boy,” she said. 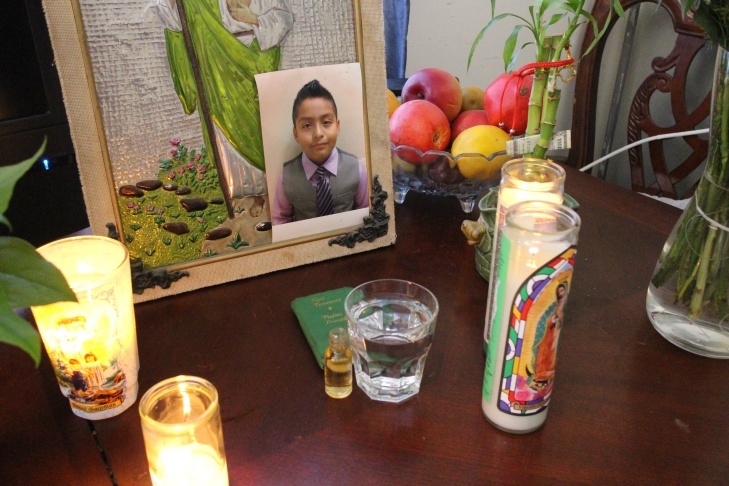 “He didn’t do anything violent.” The family has been living in Boyle Heights for seven years. Dominguez works as a vegetable packer. “Yeah he was in the gangs and everything but he was a good kid,” said Lourdes Miranda, who knew Romero.“He was smart, he was friendly. He did good in school. Very respectful, never disrespected anyone. Always quiet.” Whether or not he had a gun, “he was a kid,” she said, adding that a lot of kids in the area carry guns. "Kids are dumb, they think it makes them cool or whatever,” Miranda said. But ultimately, “he didn’t deserve this." Arcos said he could not yet confirm officers saw Romero shoot at them. "The officers are still going through the investigation process. I'm not sure of the statements from the officers," he said. 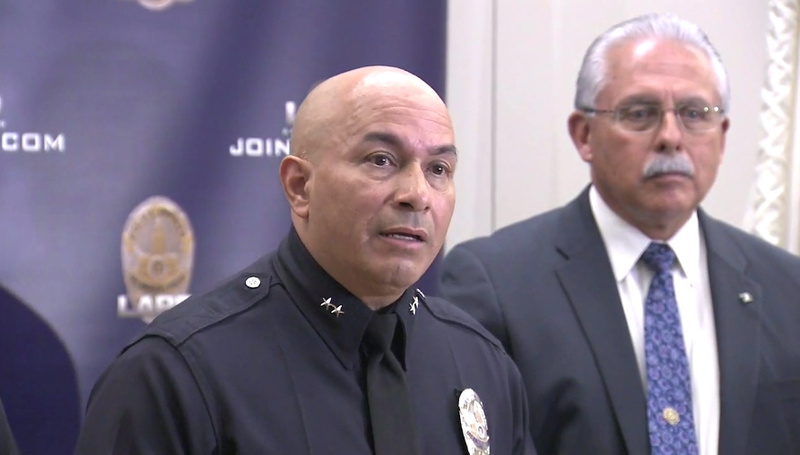 LAPD Deputy Chief Robert Arcos speaks at a Wednesday morning press conference after police shot and killed a 14 year-old suspect in Boyle Heights. A loaded gun was recovered at the scene and is being processed for DNA, Arcos said. Both officers were wearing body cameras, and investigators are reviewing the footage. Generally LAPD Chief Charlie Beck opposes making body camera video available. 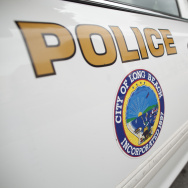 However, the officers involved may have a chance to review the footage to prior to finalizing reports or speaking with department investigators, according to a policy approved by the L.A. Police Commission last year. After any officer involved shooting involving LAPD, independent investigators from the Office of the Inspector General visit the scene. 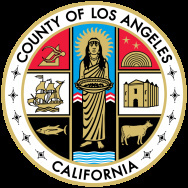 The OIG reviews the quality of the investigation and reports to the Los Angeles Police Commission, the civilian body that oversees LAPD. 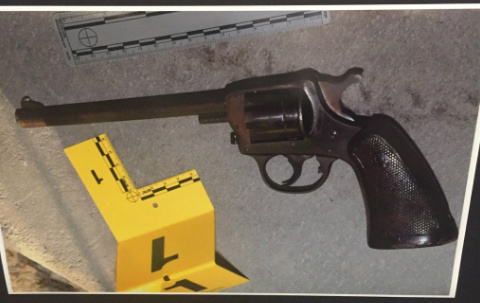 An LAPD photo of the gun recovered at the scene of the shooting of 14-year-old Jesse Romero. 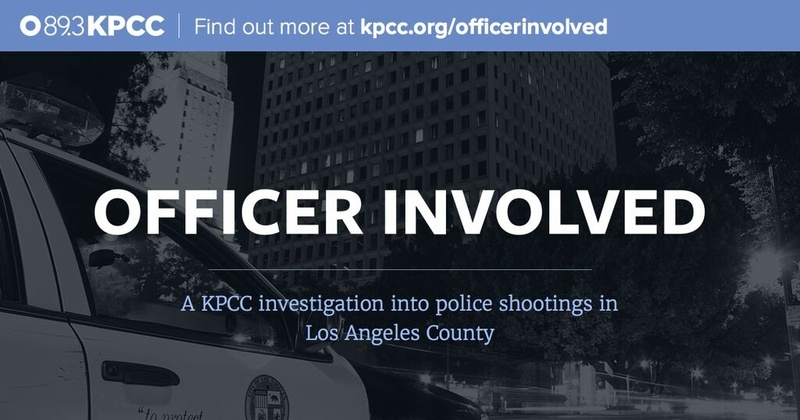 From 2010 to 2014, there were 19 individuals under the age of 20 who were killed by police in L.A. County, according to KPCC's database of officer-involved shootings. The largest portion of people killed are older—about 30 percent of fatal shootings were of people ages 25 to 34. 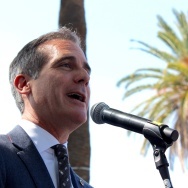 Between 2011 and 2015 LAPD officers shot five suspects under 18. That made up 3 percent of the department’s 174 shootings during that time period. 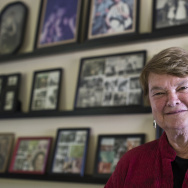 In 2010, the LAPD shot a 13 year-old armed suspect in Glassell Park. That shooting led to a $15 million settlement with the department. Tuesday's incident followed another shooting involving police officers earlier in the day in nearby Highland Park. The motorist in that case was checked into the hospital in stable condition. A gun was found at the scene. So far this year, 26 people have died in Los Angeles County as a result of officer-involved shootings, according to the L.A. County Coroner's Office. Last year, 45 people died in total over the course of the year after being shot by police. A vigil for has been scheduled for 7 p.m. Wednesday evening in Mariachi Plaza for Jesse Romero, Omar Gonzalez, Arturo Torres and "any other victim of Hollenbeck PD in BH," according to the event's Facebook page. Correction: An earlier version of this story erroneously reported that there had been three shootings involving police officers on Tuesday.